Is Osborne Family Spectacle of Dancing Lights moving to Epcot? Hey there my little Disney Gossip junkies, it is I Anonymouse, serving up some fresh and hot Disney Gossip! You might have read a week or so ago that Disney is getting rid of Osborne Family Spectacle of Dancing Lights. It seems fans of this light show are not happy, myself included! Since then there has been quite a few petitions to Disney not to get rid of this wonderful holiday show. 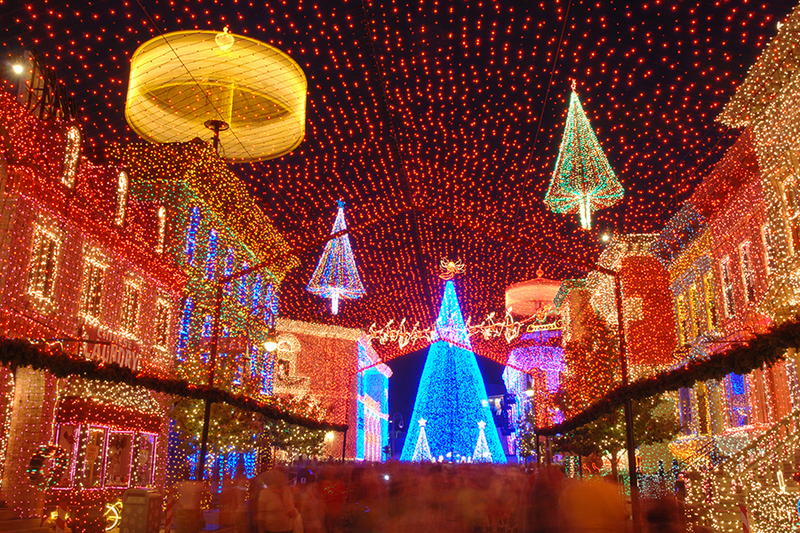 Keep the Osborne Family Spectacle of Dancing Lights at Disney! How many people remember the Lights of Winter show in Epcot? If not it’s ok I have a video. Disney retired this Christmas show back in 2009. What if I told you a little mouse told me that Osborne Family Spectacle of Dancing Lights is coming to Epcot? Wouldn’t that be wonderful? I hear that they are moving Osborne’s to the walkway between Future World and the World Showcase, right where Lights of Winter used to be! How exciting! Honestly the shows are not that far from one another. It would not be a huge undertaking to move the show from Hollywood Studios to Epcot honestly. They can take a friendship boat over. Anywho this is just Disney Gossip for now and as with all of my posts nothing is confirmed till you hear it from the Big Cheese himself. So what do you think? Should Disney move Osborne Family Spectacle of Dancing Lights to Epcot? Let me know your thoughts in the comment box below. This all the Disney gossip I have for now. For my past gossip articles be sure to check them out here. Got any good gossip/rumors please email me at anonymouse@chipandco.com or on my Facebook page. Anonymouse searches the internet, annoys cast members, and wouldn’t think twice about using a Ouija board to find you the freshest Disney Gossip. Some of what she’ll report is confirmed, some is based on information from the rumor mill, and some, frankly, she just read on the bathroom wall in Fantasyland. So take it with a grain of salt and have fun!